lla’Noiz born Benjamin Glen Lee on May 24th 1978 in Chicago IL. His Mother and Father not wanting their family to live in the city moved the family down south to Centralia IL. Since the age of three Illa’Noiz was raised there in the town known as the Guilla ( Guillatine ). Believing it was a town that would be decent enough to raise a family it came to pass that the City of Centralia was flooded with drugs and violence. At the age of 13 Illa’Noiz was caught up in a life he willfully could not let go of. Even at that age Illa’Noiz was writing songs dealing with the trials and tribulations he was going through. But before Illa’Noiz was able to allow the world to hear his music his past caught up with him. 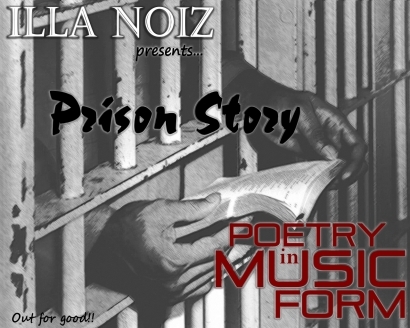 Illa’Noiz was sent to prison on numerous occasions that kept him from his goal. But after being released in 2009 for the final time he has been going H.A.M. in the rap game. Thank you for your valuable time and vote. I appreciate you. Nice doing Music with you.